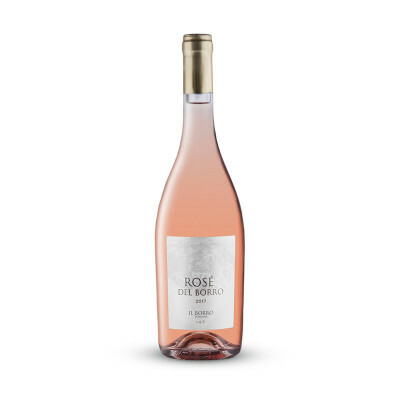 Rosé del Borro is bright pink coloured with distinquished lively bouquet of white flowers and fresh fruits. The taste is delicate and crisp with hints of small berries red fruits and a fresh and balanced finish. Rosé del Borro is vinified by cold pressing Sangiovese grapes which are hand-harvested once they have reached optimal maturity and kept refrigerated overnight at 5-10° C. The day after the grapes are destemmed and pressed after a short maceration period in contact with the skins. The resulting must is then decanted into stainless-steel tanks where the wine is clarified in order to remove all the sediments and then fermented at controlled temperature of 15-17°C. After the fermentation the wine is kept on yeast lees for about 60 days and bottled thereafter.